A high number of blocks in the shoulder area with more gripping edges guarantee that this tyre will 'cut' into snow more effectively, creating optimal grip in wintry conditions. The result: better stopping performance on snow. A high block rigidity in the tread pattern centre coupled with a high number of sipes lead to enhanced braking performance on icy and wet roads. The ContiWinterContact™ TS 830 is designed to work in harmony with electronic stability control (ESC) systems. ESC selectively controls a braking intervention on one wheel to stabilise the vehicle. The unique tread design ensures the braking effect of the tyre and consequently the ESC effect is optimised. 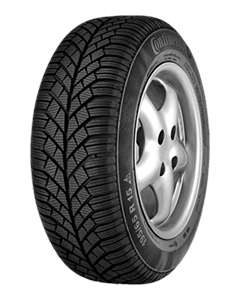 Sorry, we currently do not have any tyres with the ContiWinterContact TS 830 pattern in stock.